Happy Easter my lovely friends! I absolutely love Spring and all of the outside beauty that comes along with it. 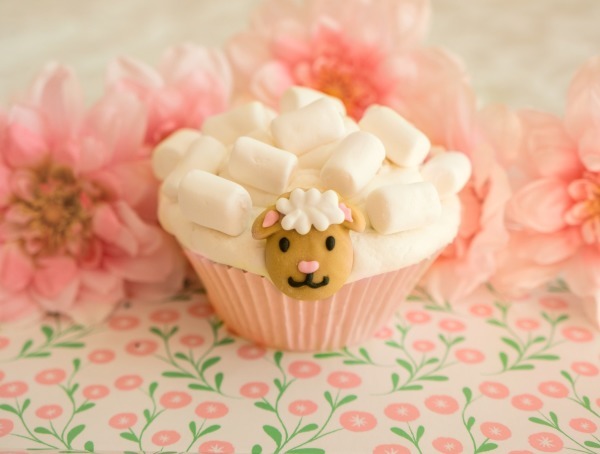 Today I’m sharing with you these darling baby lamb cupcakes, just in time for Easter. 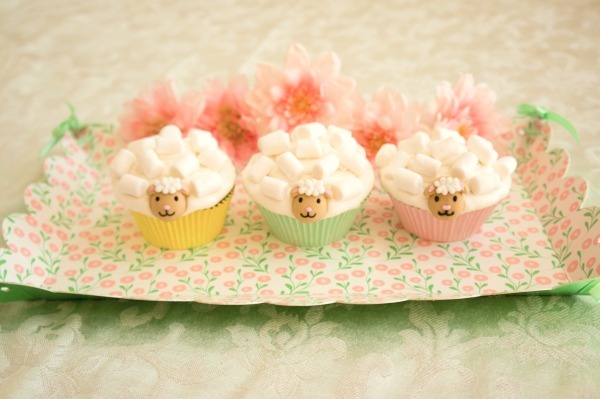 I made them from a Wilton Wooly Little Lamb cupcake decorating kit that is super easy to use. I decided to make dark chocolate cupcakes from Williams-Sonoma to go along with the buttercream icing and marshmallows. 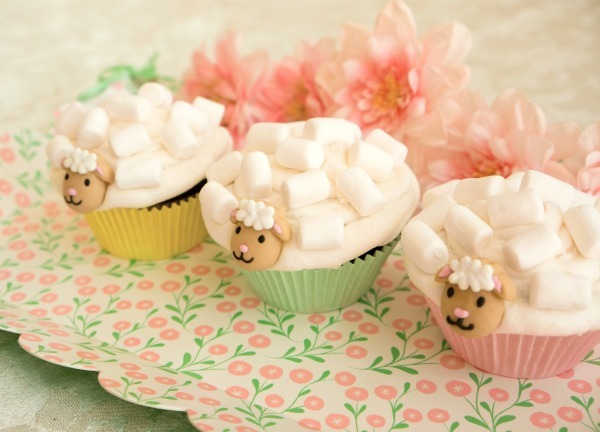 Aren’t they just the cutest little treat for Easter? So sweet, so delightful, they are simply cupcake perfection for spring! So cute and how nice that there are kits! They look like something you spent hours on!